Miami has a wealth of attractions. The sparkling shoreline captures the hearts of the many people from different places. 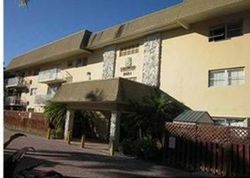 Tourists flock here to have a fun vacation and enjoy the several beaches in Miami. The lifestyle of the city includes water sports, shopping, and nightlife. 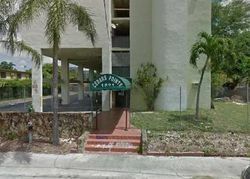 Families planning to live here or own vacation houses can choose from the foreclosure listings in Miami. There are as many as 6,274 foreclosures in the city. Families will find these homes fantastic. The real estate investors cannot just ignore these foreclosed homes. The average price per square foot in Miami is $103. This is really a great buy for families and retirees who love beach living. 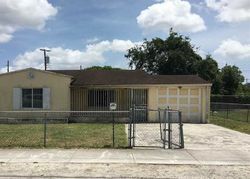 Through foreclosure listings, owning a single family home for as little as $1,000 in Miami, also dubbed “The Cruise Capital of the Word,” can now become a reality. Located in the southeast of Florida, Miami is bordered by the Florida Everglades and the Atlantic Ocean. It has a tropical monsoon climate with hot, humid summers and mild, short winters. Miami's population sizes up to 384,000, with 32% being single and 47 % married, almost three-fourths of which are without children. A broad range of age groups represent the population; it is notable that people in their seventies account for an eighth of the population. Miami is renown for its clean streets, clean air, clean drinking water and wide-open green spaces. It is known internationally as a tourist destination. Every year, 12 million people visit the famous beaches, conventions, festivals and events and spend $17.1 million. In 2009, a UBS study ranked Miami as the richest city in the United States and as the fifth richest city in the world in terms of purchasing power. 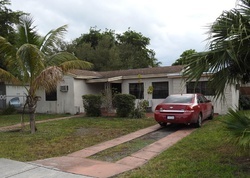 Miami foreclosure listings present investors with the chance to become part of the action in one of the country's most important financial cities with the largest concentration of international banks. Bank foreclosures and auctions place family dreams of water sports, shopping, and a glamorous nightlife within reach. 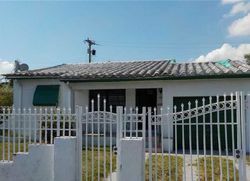 There are 6,274 homes listed under foreclosure in Miami. 948 of these are Miami bank foreclosures while 0 are on auction. Prices range from as low as $1,000 for a single-family home to $874,772 for a condo with two bedrooms and two bathrooms. The average sales price listing for homes is $379,296, with an average price per square foot of $204. The median value for owner-occupied homes was $120,000, which is about $15,000 above the state average. The median sales price between December 2010 and February 2011 was $140,150. The favored neighborhoods include: Coral Way, Upper East Side, Wynwood-Edgewater, Northeast Coconut Grove, and Southwest Coconut Grove with prices ranging from $281,584 to $1,310,040. However, investors looking for good potential returns should also consider: Allapattah (which has a week-on week, average price listing appreciation of +50.6%), Downtown Miami (+19.9%), Little Haiti (10.2%), Northeast Coconut Grove, and Overtown.